When renting a car, you need insurance. 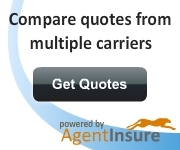 The broadest coverage on your policy will extend to a rental car. So, if you have comprehensive & collision coverage on your personal auto policy, you will have these coverages on your rental car. However, when you rent a car, you sign a contract that may obligate you for additional items or losses that your auto insurance policy may not cover. For example, you may be contractually liable for 1) loss of rental income if you incapacitate a rental car, 2) administrative fees/charges, 3) road hazard, 4) loss of vehicle value, etc. Many people rely upon their auto insurance to cover rental cars, but the safer approach is to purchase the rental company's Collision Damage Waiver. Some companies will sell this coverage on an excess basis if you have comprehensive and collision coverage on your auto policy.